Brittany Brave is a NYC-based comedian, actress, writer and host. 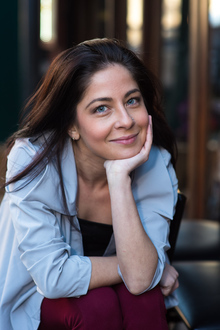 She possesses 15+ years of theatre and improv experience, having trained and performed at UCB, iO, The Second City, The PIT, Magnet Theatre and more. Currently, she performs improv, along with sketch and stand-up comedy all across the country and produces monthly showcases at The Misfit Hive in Woodside, Queens.